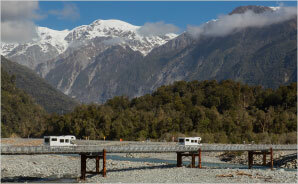 Inquiry into procurement of work by Westland District Council at Franz Josef. This report concerns a decision of the Westland District Council (the Council) to carry out work at Franz Josef to protect the town's wastewater treatment plant from flooding. The work was carried out on an urgent basis and resulted in the construction of a new 700-metres-long stopbank on the bank of the Waiho River. In this report, we acknowledge the serious nature of the flood risk the Council was dealing with, and the motivation of the elected members who were driving the decision to act in the community's best interests. Faced with what some of the elected members believed to be an imminent flood risk, the Council decided to carry out urgent maintenance work on a floodbank to protect the town's wastewater treatment plant from flooding. At the same time, it decided to carry out work to address ongoing non-compliance with the plant's discharge consent. This work involved spending an estimated $1.3 million of public money. The decision that urgent work was needed was based on an assessment by two of the elected members that the wastewater treatment plant was in imminent danger of flooding. That assessment was effectively endorsed by the Council as a whole without confirmation from anyone with relevant expertise and without any expert review of the Council's proposed response. When some of the elected members tried to raise concerns about the scope of the work, aspects of the Council's decision-making process (such as the lack of involvement of Council staff), and disquiet in the community about perceived conflicts of interest, these concerns were effectively dismissed or minimised. In the case of councils, being able to demonstrate that decisions are made lawfully and for the benefit of the community is all the more important because a council is collecting and spending the community's money, and because the only opportunity the community has to influence who makes decisions on its behalf is at local government elections every three years. Even if we accept that the concerns about an imminent flood risk were valid, it does not justify the approach the Council took. Building a new stopbank – if that is, in fact, what the Council agreed to do – is not a "quick fix". It requires careful planning, engineering expertise, a clear understanding of resource consent requirements, and consideration of the effect that building a new stopbank would have on an already volatile river. All of these crucial steps were missing. A council that is contemplating spending $1.3 million of public money to construct a reasonably significant piece of infrastructure needs to be able to show that the decision to spend the community's money was based on something more than an assessment of risk by two of the elected members, and that all those who had a right to be involved were properly involved in the decision-making process.